of Lake Burragorang which stretches back 52 kilometres from the dam wall. We use the water collected by the natural landscape (catchments) to help supply water for our needs, by building dams and weirs, or tapping into groundwater. Rainfall in Greater Sydney's five drinking water catchments - Warragamba, Shoalhaven, Upper Nepean, Woronora and Blue Mountains - flows into creeks and rivers that flow into 11 major dams. The dams are connected to each other by a complex system of rivers, weirs, canals and pipelines. This is called the water supply system. When full, the dams hold more than 2.6 million megalitres of water. WaterNSW manages the dams and raw (untreated) water supply system, and also helps protect the health of the water catchments. which supplies 80% of Sydney's water. 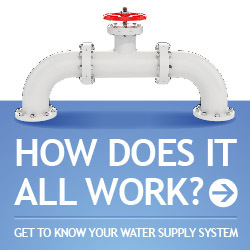 WaterNSW supplies high quality raw water that is then treated to Australian drinking water guidelines and distributed to customers. Most of the water WaterNSW helps protect is supplied to Sydney Water where it is treated at one of nine water filtration plants. 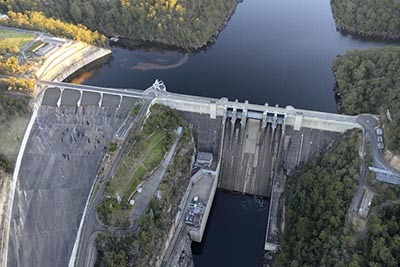 More than 80% of Sydney's water comes from Warragamba Dam and is treated at Prospect water filtration plant. After treatment, water enters Sydney Water's network of reservoirs, pumping stations and 21,000 kilometres of pipes to arrive at homes and businesses in Sydney, the Blue Mountains and the Illawarra. WaterNSW also supplies water to Shoalhaven City Council for Kangaroo Valley, Goulburn Council for Goulburn residents and Wingecarribee Shire Council for Southern Highlands residents. Screening - freshwater passes through fine screens to remove solid objects like fish, logs and leaves. Flocculation - fine particles are removed using a chemical that makes the particles clump together (flocculate) and settle to the bottom. Filtration - larger particles are caught and removed as the water moves through a layer of sand, or a combination of sand and crushed anthracite (coal). Disinfection - chlorine is used to kill viruses, bacteria and microbes, then ammonia is added as a longer lasting disinfectant. 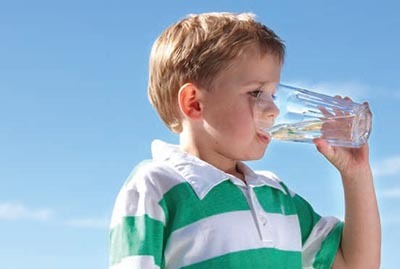 Fluoride is added to meet NSW Health requirements. Sydney's water supply system can also be topped up with water from the desalination plant at Kurnell. The plant operates when dam levels fall below certain levels. The desalination plant can provide up to 250 megalitres of water a day - 15% of Sydney's needs. The desalination plant uses reverse osmosis membranes to extract freshwater from saltwater, blocking particles and salts, so only freshwater can pass through. 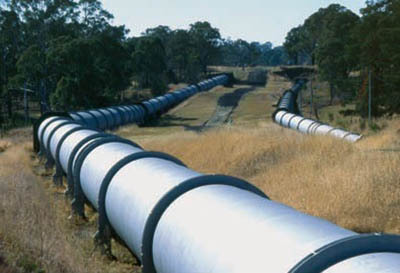 Once treated, water from the plant travels through an 18 kilometre pipeline from Kurnell to join the city water supply at Erskineville.